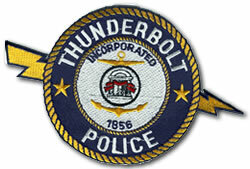 The Thunderbolt Police Department consists of the Chief and officers who work the Patrol Division. An additional officer is assigned to work with the Chatham-Savannah Counter Narcotics Team, a multi-jurisdictional task force. All officers have been certified by the Georgia Peace Officer Standards and Training Council. Civilian personnel consist of an administrative clerk. The Chatham 911 Communications Services handles all dispatching responsibilities for the police department. If you need emergency assistance, you must dial 911. For all non-emergency requests, you must dial 912-652-6500 for an officer to respond to your location. Business hours are 8:00 a.m. to 4:30 p.m. Monday through Friday excluding holidays. The department may be contacted at (912) 354-3818 for all other purposes. 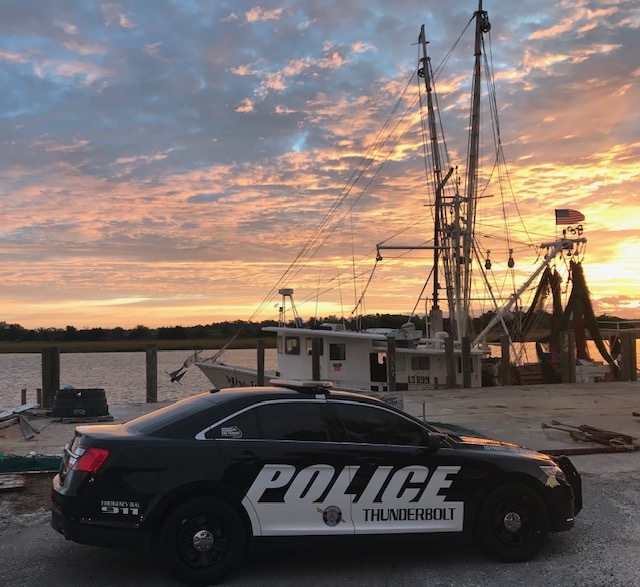 As a member of the Thunderbolt Police Department, our primary goal is to protect and serve each member of our community and all visitors to our area. The Thunderbolt Police Department enforces the law in a fair and impartial manner, recognizing both the statutory and judicial limitations of police authority and the constitutional rights of all persons. The Department recognizes that no law enforcement agency can operate at its maximum potential without supportive input from the citizens it serves. The Thunderbolt Police Department actively solicits and encourages the cooperation of all citizens to decrease the opportunities for crime and to facilitate the maximum use of resources. 1. Protection of Life and Property - To provide services which contribute to the preservation of life, the protection of property, and the safety of the community. 2. Prevention, Detection and Investigation of Criminal Activity - To prevent crime through aggressive patrol which limits the opportunity for a crime to occur, and through education of citizens which reduces the likelihood of them becoming victims; to provide a thorough, appropriate, and efficient investigation of criminal activity; to provide positive measures against organized crime and related activities. 3. Apprehension of Offenders - To provide for the expeditious and prudent apprehension of suspected violators of the law, irrespective of their station in life, through thorough, appropriate, and efficient police-related investigations. 4. Maintenance of Public Order - To maintain peace and public order; to assist during times of natural or unnatural occurrences or disasters. 5. 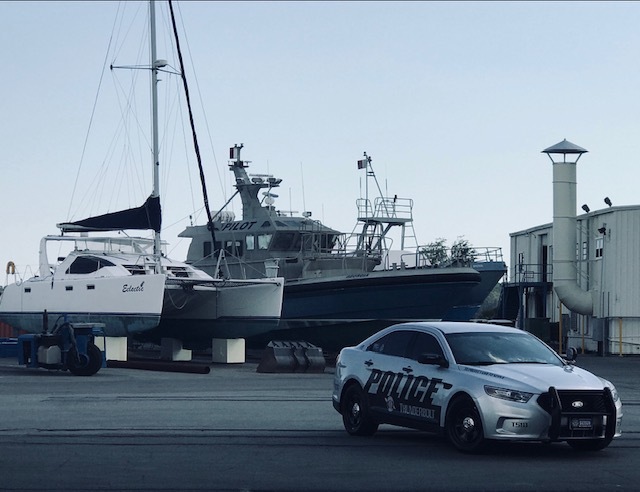 Recovery of Property - To maintain an inventory and secure all properties evidence, lost and recovered/stolen property being held by the Police Department, thereby ensuring that it is available when needed or claimed. 6. Training of Officers - To design and implement a training program to fill the training needs of officers and to promote a high rate of proficiency in the officers of the Department; to address career goals of department personnel. 7. Compliance with Ethical Standards - To ensure the integrity and adherence to professional standards of the Department by receiving and investigating all complaints against departmental personnel of alleged misconduct or misuse of force. 8. Traffic Control - To provide for the safe and effective flow of both vehicular and pedestrian traffic and the investigation of traffic related accidents. 9. Community Service - To provide the resources necessary for assisting citizens under special non-criminal circumstances. 10. Departmental Administration - To provide management, administration, and support required for operation of the department. Police Officer applications are accepted at all times and kept on file.